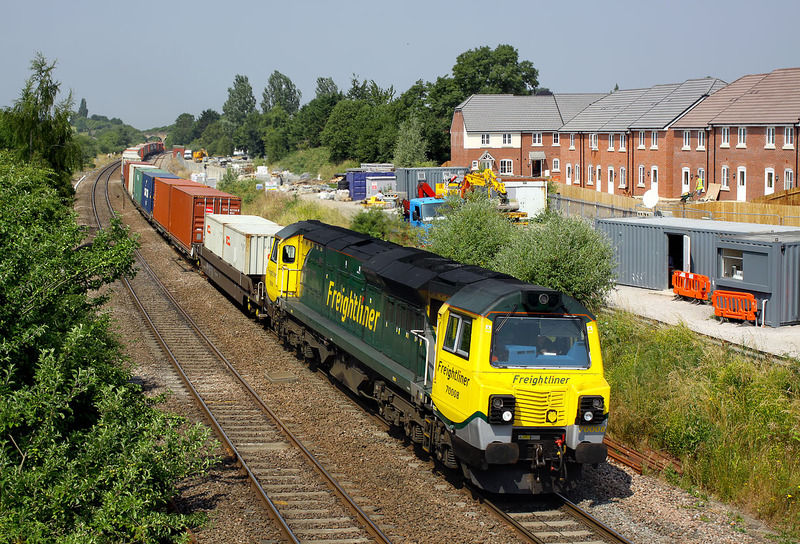 70008 passes Wootton Bassett on 18 July 2013 with the 4O51 09:58 Wentloog to Southampton freightliner. After being checked at the junction, it is slowly accelerating past the site of the station, now being developed for housing. The very end of the train is still on the Bristol Parkway line, whilst the bridge in the background is on the GWR's original Bristol route.